Bill Murray, if he were a rugby fan, would swear the Wallabies had infringed on the copyright of his cult classic, Groundhog Day, given they head north each November and see the scrum, well, disintegrate. 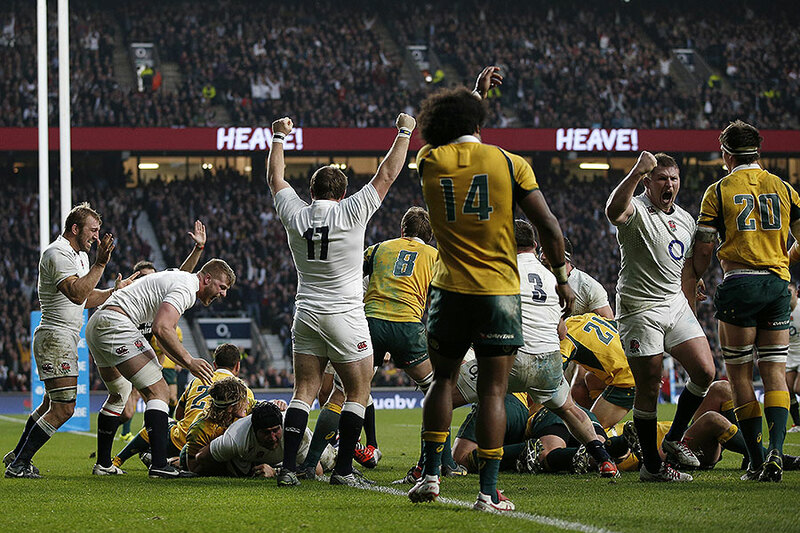 The latest adventure to Twickenham at the weekend will go down as another dark day for Australian rugby, given England scored two tries from the key set-piece and virtually monstered the Wallabies every time the home side had the loose feed. In between the fallen mess of gold forwards and repeated aerial attacks from England halves George Ford and Ben Youngs, there was actually some sparkling play from the Wallabies; the pick of which was some wonderful interplay between Bernard Foley and Rob Horne as the fly-half crossed for a five-pointer after half-time. At full-time, however, it was all about the scrum. "Some scrums we weren't good enough, out and out, and some scum were definitely open to interpretation," Wallabies coach Michael Cheika said. "Because they [England] have a good reputation, we have to improve ours if we are going to get the rub of the green on those interpretation calls. We need to change some things, technique and strategy; perhaps a bit more wheeling or something because that seems to be accepted. Perhaps we are just a little bit too honest, maybe, in the scrum." Too honest? Perhaps. Whatever the problem, it's not Cheika's fault. It's not James Slipper's fault, or Sekope Kepu's either, it's not the Wallabies locks' or former coach Ewen McKenzie's fault. We can't even blame Robbie Deans. The problem is far more inherent than that; it's a mentality issue that stretches from Test level right through to the grassroots and juniors, where kids are running around trying to be the next Israel Folau or Quade Cooper. I was one of them 20 years ago, though the name on my jersey was Matt Burke or George Gregan; the name certainly wasn't Richard Harry or Dan Crowley. We need to make the front-rower romantic; and as ruggedly handsome as James Slipper is, that's no easy feat. I was fortunate enough - or unfortunate depending on how you look at it - to be at Twickenham in 2005 when perhaps the greatest of all scrummaging disasters occurred and the Wallabies were forced into playing Golden Oldies rules - uncontested scrums - after injuries to Al Baxter and Matt Dunning. England prop Andrew Sheridan had thundered his way through the Wallabies' pack, his eyes glaring with intensity as he enjoyed headbutts, yes headbutts, from his England team-mates after every mental victory. You couldn't help but admire Sheridan's power and the sheer delight on his face every time the referee called, crouch, touch pause, engage. That fixture should have been the turning point for scrummaging in Australia. There should have been some sort of extraordinary meeting at the Australian Rugby Union, and an edict sent out to every club in the land saying "props are tops - come and try the front-row". Admittedly, that's not an easy sell. Parents are worried about neck injuries, and rightly so, while those who do play up front probably aren't scoring the tries that lead to instant popularity. And that's everything when you're a kid. I know I blasted a few in my time, but instantly flipped a few hours later when half a "Killer Python" was on offer. But here we are having the same conversations at the pub yet again, bemoaning the lack of a Wallabies scrum and we're now looking ahead of those two big pool games at Twickenham in September next year. Cheika, unfortunately, probably doesn't have enough time to rectify the situation. He'll sit down with scrum coach Andrew Blades and try to nut out a fix; and hey, the Wallabies were actually pretty solid on their own ball. But while they go to work, why don't the rest of us, the ARU included, set about rectifying this problem? Let's make scrummaging cool. Rather than another Israel Folau poster, let's have Sekope Kepu mocked up into some sort of monster-like creature; the kind of cartoon image kids love. It might not work for next year; it might take four years. And with the current state of Australian rugby, it'll be a challenge the clubs will likely have to take on themselves. There's a kid by the name of Taniela Tupou who's just arrived in Brisbane, but you might know him better as the 'Tongan Thor'. 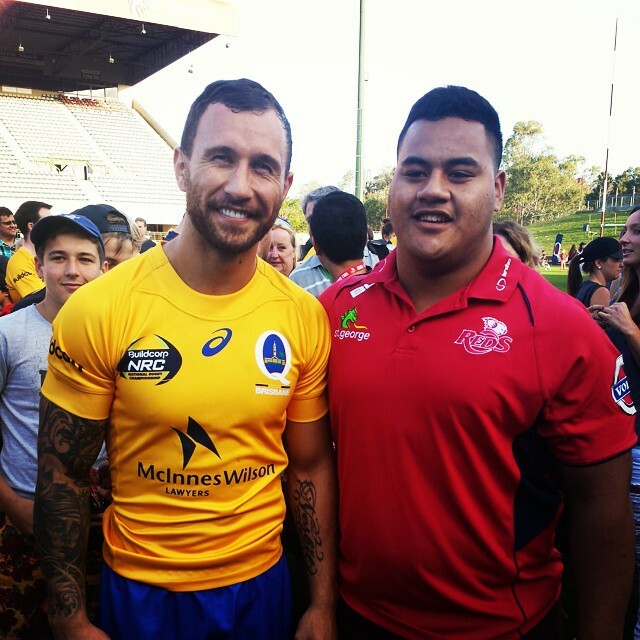 He's probably the most-hyped schoolboy since Kurtley Beale, and what do you know? He plays prop! Now Tupou can play, but can he scrummage? We won't know for a few years yet as the Reds manage his workload, and expectation, but he could prove to be the great front-row poster boy Australian rugby needs. Rugby World Cup 2019? It may be a little too soon for Tupou, but hopefully the tide will have already started to turn and we'll have kids who have RWC 2023 and 2027 in their sights asking to be called "Harry Thor" or "Jonny Thor". Whatever the case, it's time something was done; these same November conversations can't go on. Now enough of the negativity; we're all in need of a laugh. Anyone know another Bill Murray classic? I'm well and truly sick of Groundhog Day.